If you’ve ever had an eye exam done in an eye doctor’s office it’s likely that you have learned about the Snellen Eye Chart. 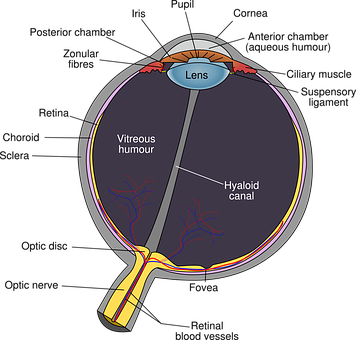 It was named after a Dutch eye doctor named Herman Snellen who developed it in 1862. What does the Snellen chart consist of? The Snellen chart consists of 11 rows of capital letters. The very first letter on peak of the eye chart is a capital E. There are also a series of subsequent rows of capital letters that become progressively smaller from line to line. The smaller the rows of capital letters the sharper the visual acuity. As an example, the line that states 20/20 is forth from the main point and is then followed by the 20/15,20/10 and the 20/5 line. If you are able to read the bottom row of the smallest letters then you have excellent vision. The patient is needed to stand from a distance of about 20 feet to read the letters without the assistance of glasses or contacts. If you have 20/20 vision that is considered normal eyesight. 20/20 vision means you could see clearly at a distance of 20 feet what the average person is able to see at that particular distance. The Snellen eye chart has its limits due to the fact that it only measures visual acuity. Thus, it cannot detect whether you have some underlying medical problems related to your vision condition. According to developmental optometrist Dr. Kellye Kneuppel, the Snellen chart only detects nearsightedness and misses other vision conditions such as Astigmatism and farsightedness. What’s more, Dr. Knueppel explains that vision problems that kids experience associated with the lack of connection involving both eyes and difficulty monitoring lines are vision conditions that go undetected even using a Snellen eye chart test. These undetected problems can cause academic difficulties and learning difficulties. Because of this, the American Academy of Ophthalmology recommends a baseline eye exam which provides a comprehensive evaluation of a patient’s eye health. Such a detailed eye exam can detect underlying issues such as Glaucoma, eyesight issues related to the retina, eye problems related to Diabetes or high blood pressure to name a few. Additionally, it can detect problems focusing when reading and vision issues related to lack of teamwork involving both eyes. When it comes to getting a comprehensive examination that determines the state of your general eye health a baseline eye examination is advised. On the other hand when it comes to correcting vision ailments a reliance on glasses or contacts will not address the underlying causes of your eyesight problems. If you are looking for a natural solution to fix your eyesight problems while addressing the root causes of poor vision, then, an eye exercise program to improve your eyesight naturally is highly recommended. This kind of program corrects or reduces vision conditions related to nearsightedness, farsightedness and astigmatism. You will also find that the regular and diligent practice of these easy eye exercise techniques can offer certain fringe benefits. These include an improvement in mental focus and concentration, the teamwork of the eyes and the eyesight correction of problems focusing while reading. Ultimately, these are all skills that are essential for academic achievement and result in an increase in your overall eye health. Copyright © 2019 Kids Universe. Powered by WordPress. Theme: Esteem by ThemeGrill.